When I fill out an application, and it asks me to put my emergency contact, I put my doctor’s information. 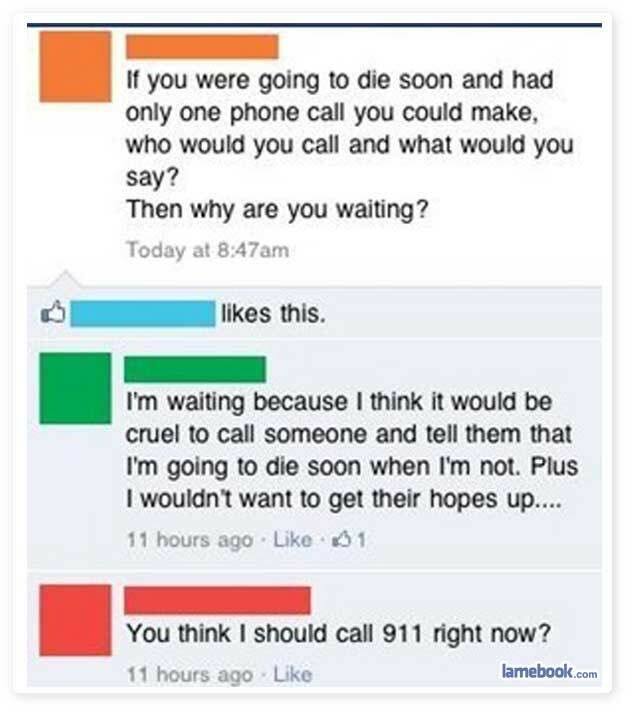 If it were a real emergency, what would my mom be able to do? Typically, your mom or spouse knows your medical history, can represent you in a hospital if you’re unconscious or something and is available after 5pm and on weekends. If they call your doctor; their receptionist is probably going to be really confused and tell them there is an appointment available in two weeks. ^ Or six months. In my case, my mom will just cry. If you keep calling people, it’s your own fault if you get raped. I always put 911 for my emergency contact.